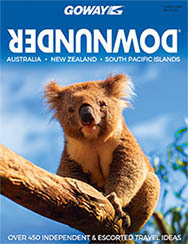 Goway’s “Downunder” focuses mainly on Australia & New Zealand, but also features some of the best locations in the beautiful South Pacific… Tahiti, Fiji, Cook Islands, Hawaii and Papua New Guinea. We want to share it with you! A journey into Africa’s amazing diversity is probably the most rewarding experience of a lifetime. 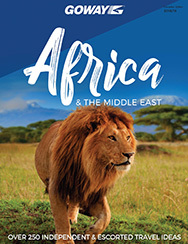 Through these pages we invite you to come with us to AFRICA… A land of colourful contrasts, fauna and flora… A land where one comes face to face with nature at its most magnificent. “Exotic” is often used when describing Asia. 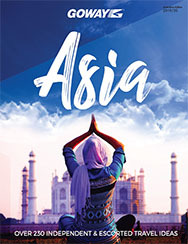 Come on an unforgettable journey with the experts to Asia… an amazingly diverse continent, a land of mystery, legend, and a place where you can experience culture at its most magnificent. 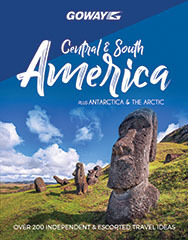 This brochure, like all Goway destinational travel planners, is a collection of the best travel ideas we recommend you consider when you travel to Latin America. Most are designed for the independent travellers but many offer the comfort or travelling with a group. Some trips will appeal to adventure seekers, other strictly to the discerning traveller who wants the very best. 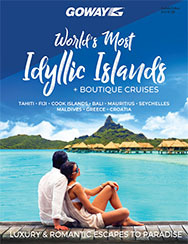 Islands Escapes specializes in customizing travel arrangements to exotic island destinations… to idyllic palm-fringed white sand beaches and turquoise coral lagoons… to colourful tropical islands with vibrant vegetation and beautiful people. Holidays Of A Lifetime are Goway’s professionally escorted tours in which we focus on experiencing the destination rather than just seeing the sights. 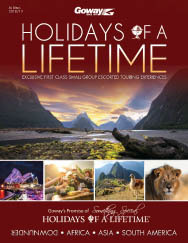 Of all the thousands of travel ideas offered by Goway, only these tours carry our “Promise of Something Special”. 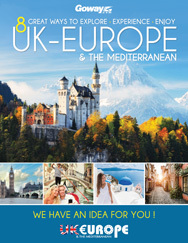 There are many ways you can explore, experience and enjoy Europe. This brochure focuses on what we have classified as Eight Great Ways to Go. In conjunction with your travel agent, we at Goway will custom-design the perfect vacation according to your interests, time available and your budget. 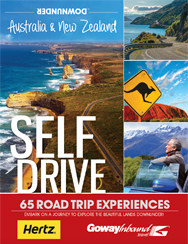 For the ultimate independent travel experience get behind the wheel with our self -drive vacations to Australia and New Zealand. Our self-drive itineraries feature quality hotels and resorts or the best accommodation available. On some itineraries you may stay at outback stations (ranches). We can also tailor any itinerary to your holiday wishes. 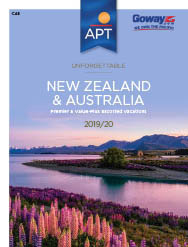 Join us on an unforgettable vacation to New Zealand and Australia where you’ll experience two countries of supreme natural beauty, filled with unique wildlife, ancient cultures, cosmopolitan cities and exceptional gourmet delights.